Arsenal boss Unai Emery has confirmed that defender Shkodran Mustafi suffered a relapse in his problems with a hamstring injury against Fulham on Tuesday. The Gunners got back to winning ways as they bounced back from their heavy loss to Liverpool with a 4-1 win over Fulham at the Emirates to close the gap on the top four again. However, it seemingly came at a price as Mustafi was replaced at half-time, and Emery has since confirmed that it was due to his hamstring injury which he aggravated in the opening 45 minutes, as per freelance injury analyst Ben Dinnery’s tweet below. It’s not what Arsenal need given their already dire defensive record so far this season, having conceded 31 goals in just 21 league outings. That gives them the worst defensive record of the top five sides by some distance, with Liverpool and Tottenham conceding 29 goals combined to put it into context as to how porous the Gunners have been so far this year. It’s an area in which they must improve if they wish to compete for a top-four finish moving forward, and losing an experienced option in Mustafi is arguably not going to help. 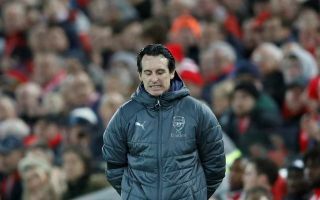 As noted in Emery’s comments above, the Spanish tactician did suggest that it shouldn’t be too serious a setback, but time will tell how long Mustafi is ruled out for as the last thing that Arsenal want to do now is risk the German international and see him potentially ruled out for a significant period. Albeit the festive period is now over, the Gunners still face a busy January with clashes against Blackpool in the FA Cup and West Ham, Chelsea and Cardiff in the Premier League to come.